friday afternoon i got an email from netflix that said david, we just added a documentary you might like… when i saw that it was about bigfoot, i said to myself “really?” it wasn’t an awestruck full of wonder kind “really?” that i said, it was more of a disappointed oh brother kind of “really?” i was full of wonder and awe when dad and i saw a documentary about bigfoot in binger, oklahoma. that was in the 1970′s, and a lot of reality has happened since then. 3 Responses to Really? Bigfoot?? You’ll have to refresh my memory. All i remember about binger is the carpet i had to rip up and the swallows in the chimney. I can’t remember if we even had a tv in Binger. 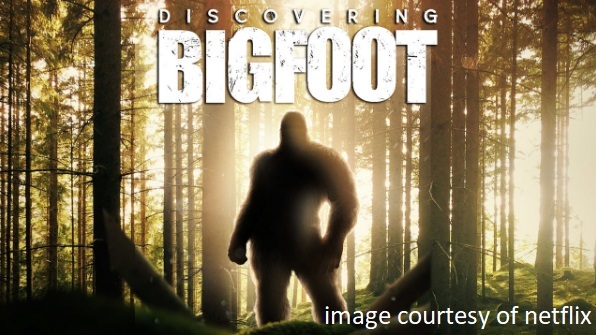 Was there a Bigfoot in Binger? I know we went duck hunting behind the house at lookeba. Maybe the Bigfoot was in the woods. dad, there was a theater in binger, and we saw THIS movie. it was about the loch ness monster, the abominable snowman, and bigfoot. later you bought me some comic books.